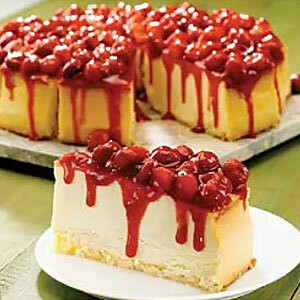 Silky New York cheesecake crowned with wild strawberries on a sponge cake base. 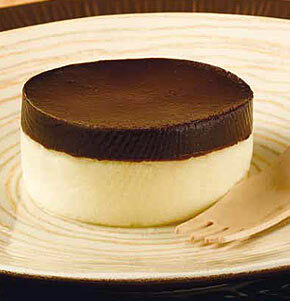 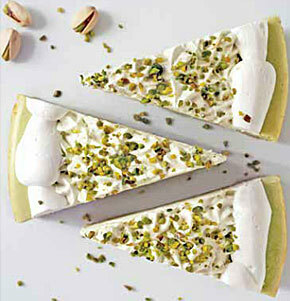 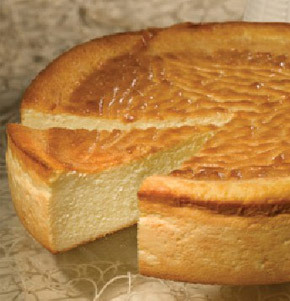 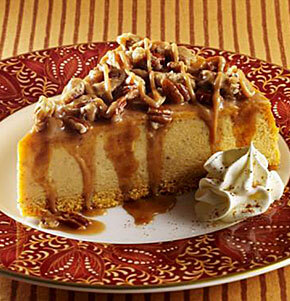 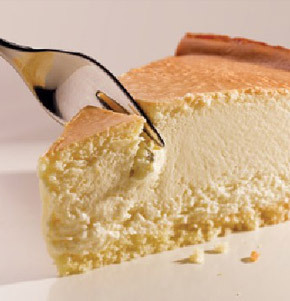 Cheesecake made with ricotta, delicately textured with a hint of natural orange essence, sits on a sponge cake base. 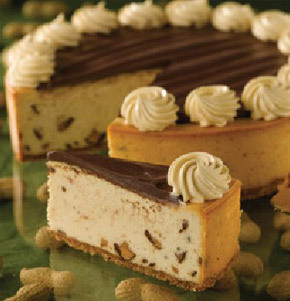 Peanut butter cheesecake filled with peanut butter cups, on a cookie base, topped with chocolate fudge and decorated with peanut butter cream rosettes. 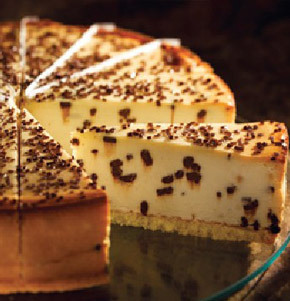 New York style cheesecake studded with chocolate chips and covered with chocolate flakes, sits on a sponge cake base. 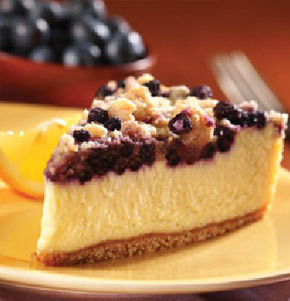 A creamy lemon cheesecake topped with blueberries and brown sugar crumbs sits on a cookie base. 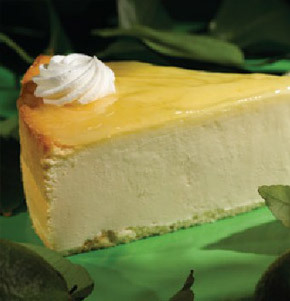 New York style cheesecake with a splash of key lime juice, decorated with lime marmalade and cream rosettes. 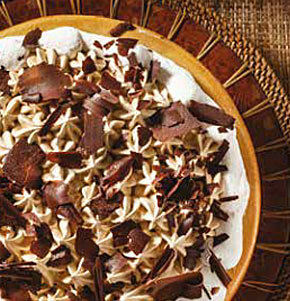 A cookie crust holds a velvety dulce de leche cheesecake, topped with dulce de leche mousse and chocolate shavings. 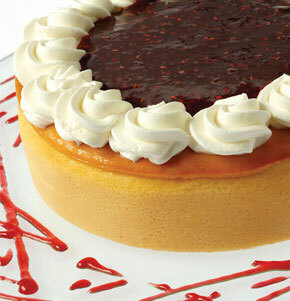 A sponge cake base topped with NY style cheesecake, topped with raspberry marmalade and cream rosettes. 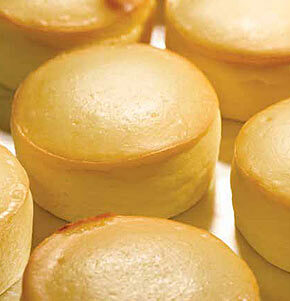 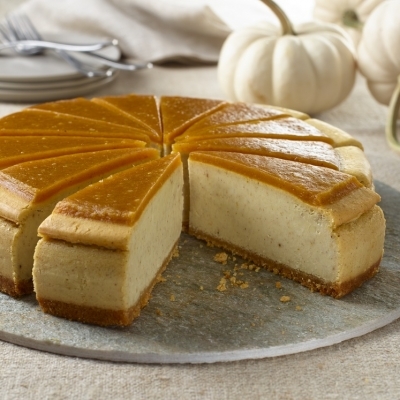 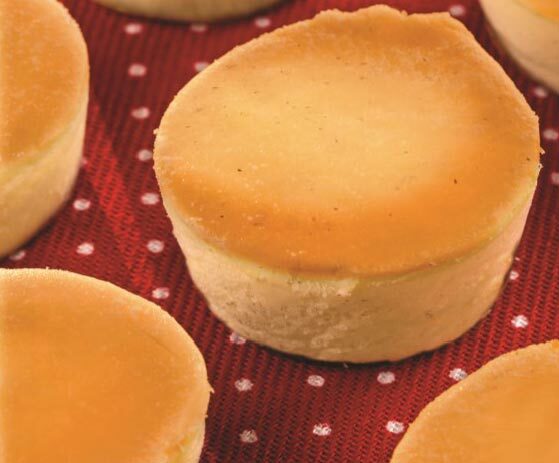 A small version of our famous New York cheesecake, flavored with a hint of vanilla. 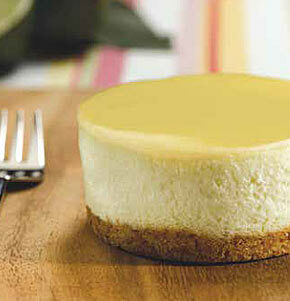 A graham cracker base topping with New York cheesecake with a splash of key lime, decorated with a key lime glaze. 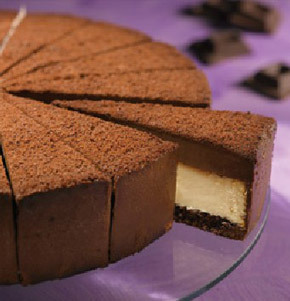 Single portion mini New York cheesecake topped with a layer of chocolate ganache.